With the Holiday Season fast approaching, Verizon has introduced the new LG Spectrum 2, which is a follow-up to the original LG Spectrum that was released earlier this year. This time around, the device is more in line to compete with other mid-level smartphones, as it comes running Android 4.0.4 Ice Cream Sandwich and features a 4.7” 720p display, a Qualcomm 1.5GHz dual-core Snapdragon S4 processor with 1GB of RAM, and an 8MP rear camera. 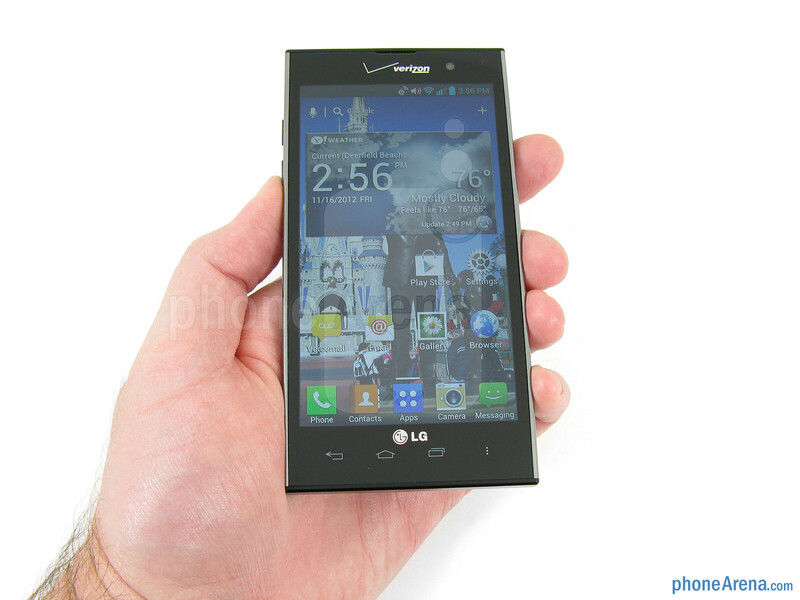 But what makes the LG Spectrum 2 most attractive is its reasonable price, coming in at $100 with a 2-year contract. 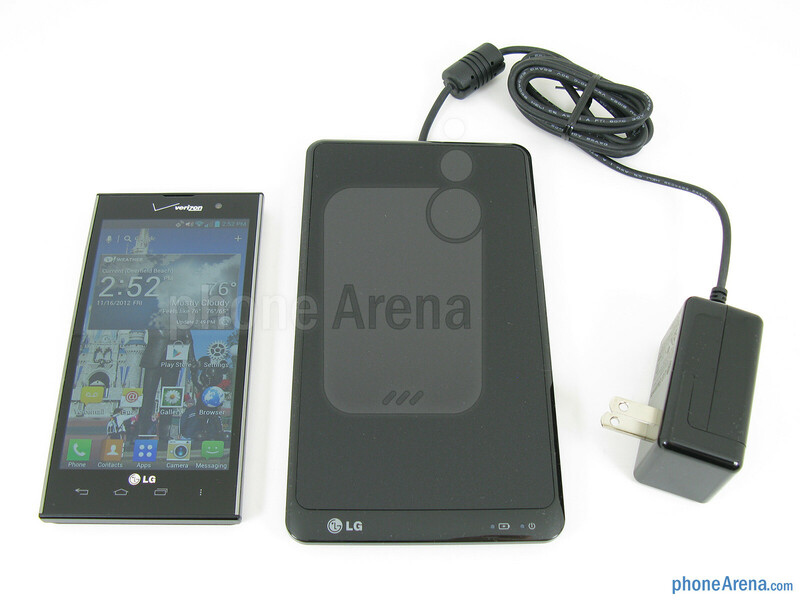 Included in the retail package is the LG Spectrum 2 VS930 smartphone, 2150mAh battery, two NFC Tags, wall charger with detachable microUSB cable, and user guides. 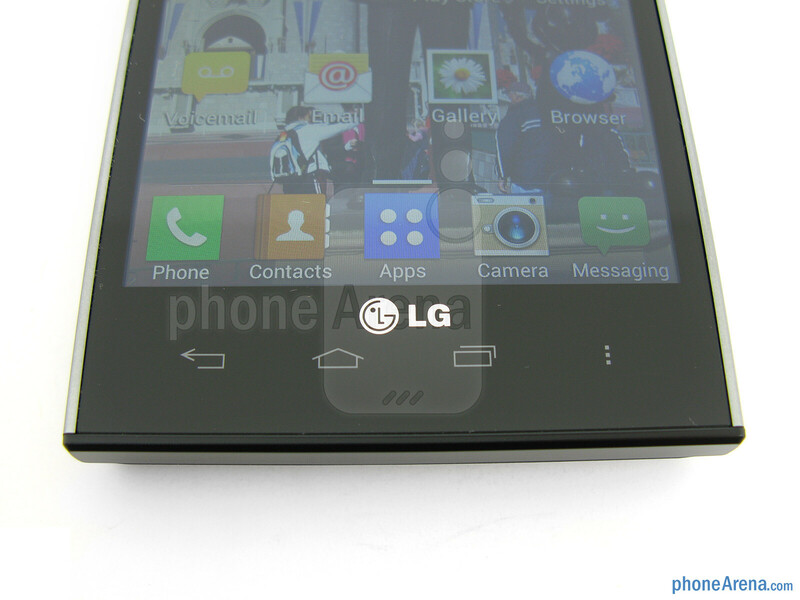 Calling on elements of the LG Optimus line, the LG Spectrum 2 is a bit more refined than the original Spectrum phone, though it looks like the “monolith” from 2001 A Space Odyssey. Despite this, the Spectrum 2 feels solid and well made (almost brick-like), with black on the front and back being framed by chrome accents around the edges. 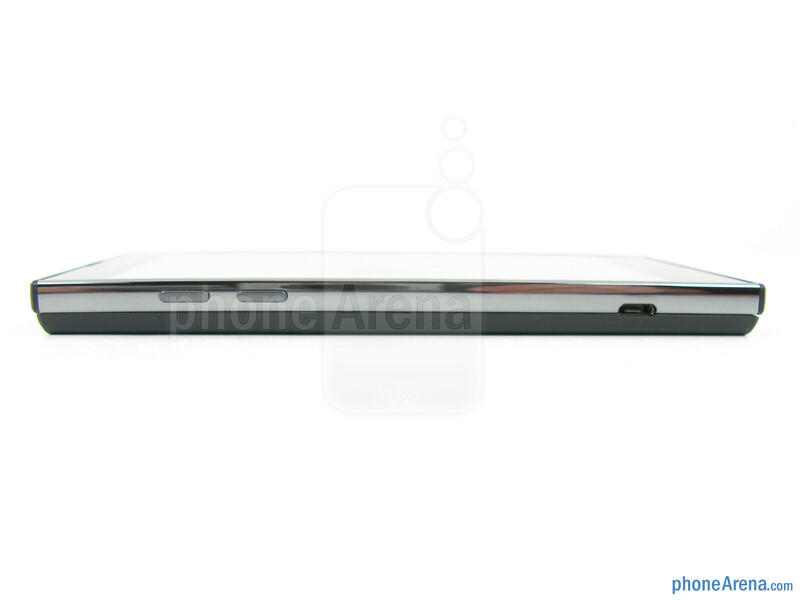 We welcome the textured soft-touch battery cover on the rear, as it provides a firm grip. You can compare the LG Spectrum 2 with many other phones using our Size Visualization Tool. 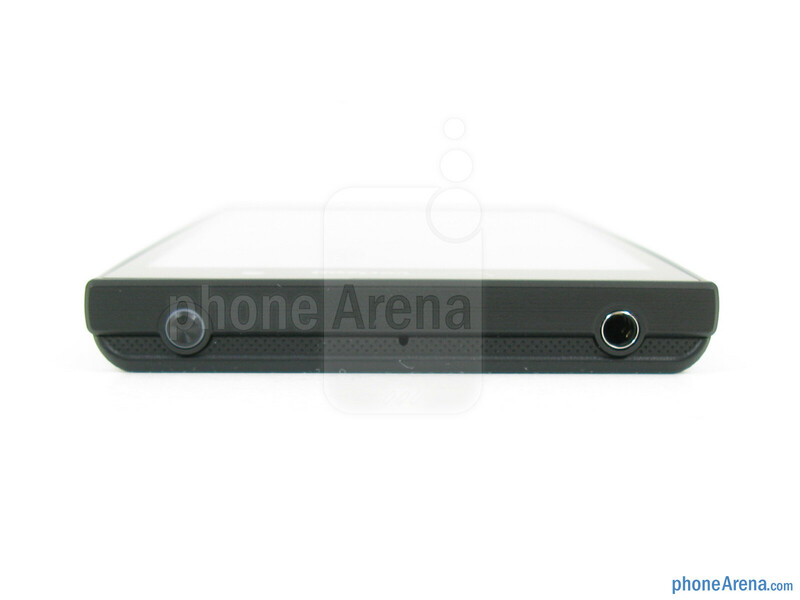 The front of the Spectrum 2 is mostly occupied by the display, above it is a 1.3MP camera, and below it are four capacitive buttons with blue LED backlight. Around the sides we find the microUSB port, 3.5mm headset jack, as well as the volume and power/lock buttons – which have a distinctive feel to them since they are raised from the surrounding edges. 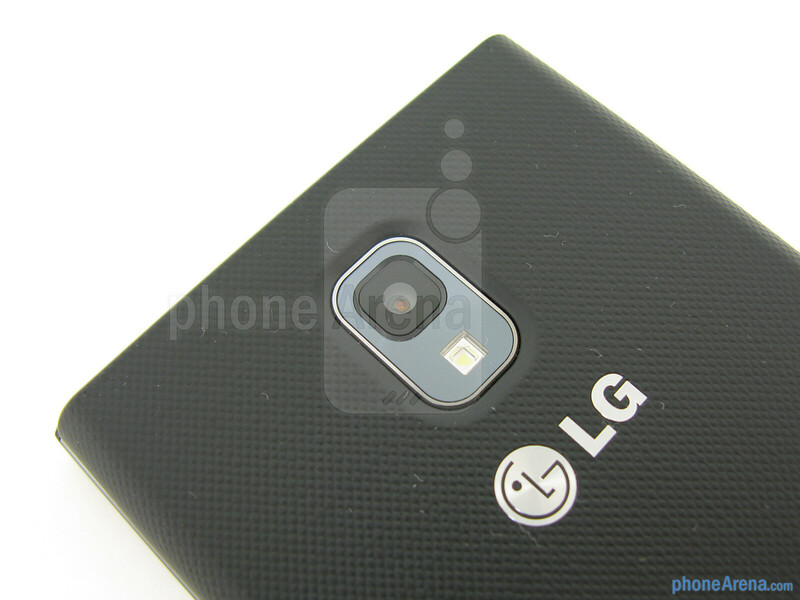 While on back is the 8MP autofocus camera with LED Flash. 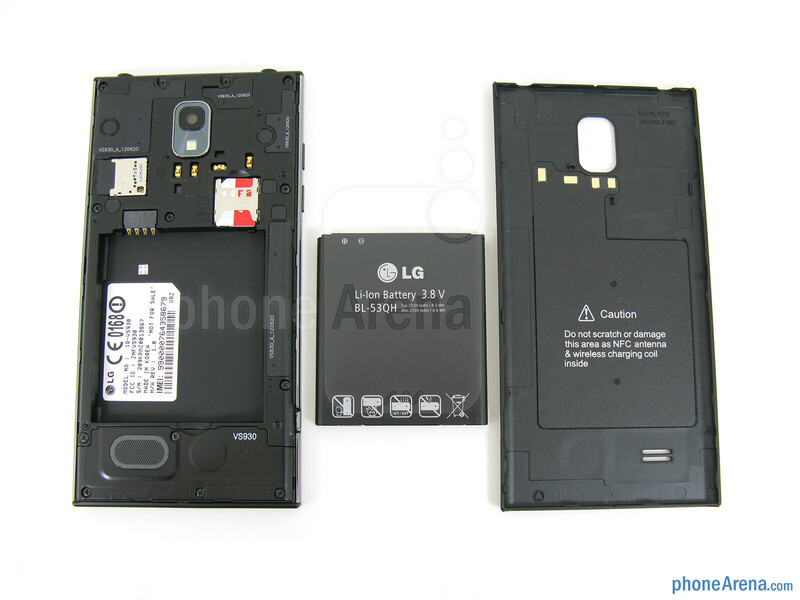 The microSD memory card slot and SIM slot are hidden by the battery cover. 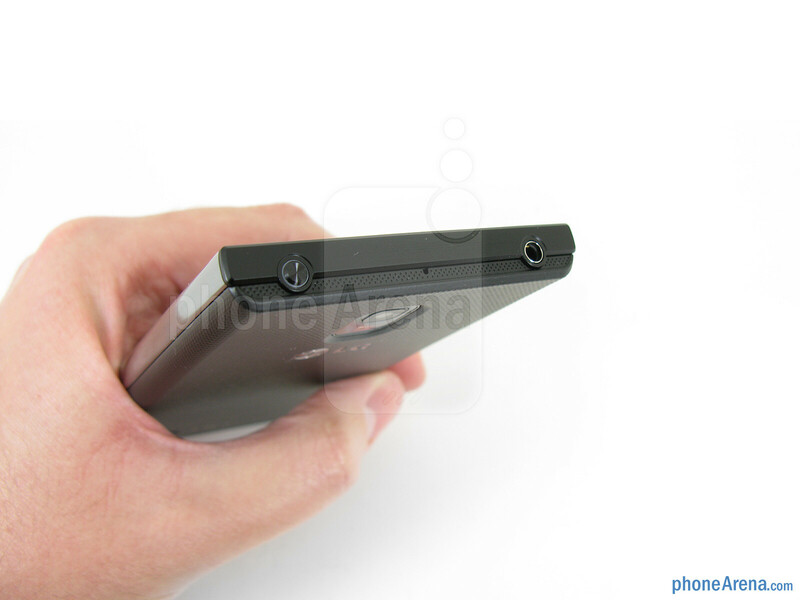 Built into the battery cover is NFC (near field communication) and wireless inductive charging. 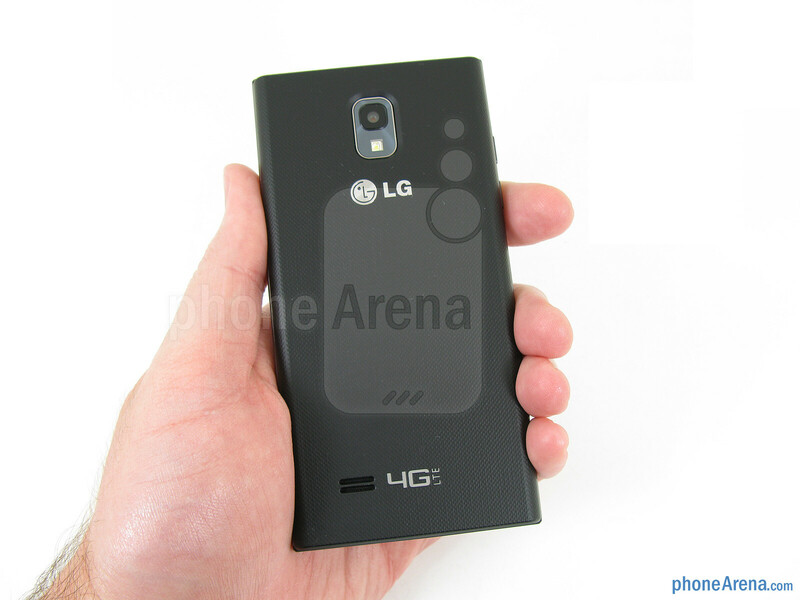 To make use of the NFC, the Spectrum 2 includes two LG Tag+ stickers, one for the car and one for the office. The car tag will active the Google Maps app on the phone, while the office tag will place the phone in vibrate mode and turn on Bluetooth. But in order to use the wireless charging, you have to purchase the wireless pad separately, which still requires a wall outlet connection. One nice improvement with the LG Spectrum 2 is that it is using a larger 4.7” True HD IPS display, up from 4.5” on the original model. 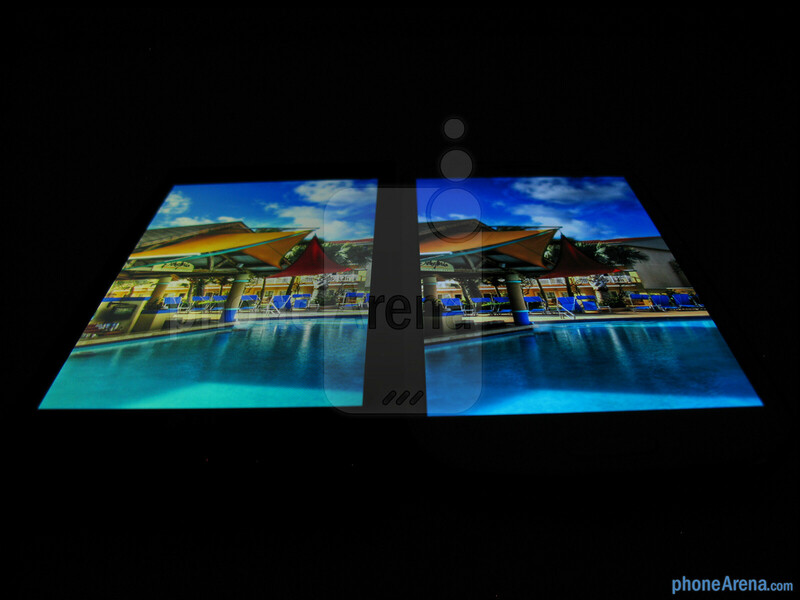 It comes with a 1280x720 pixel resolution, and uses the more favorable RGB arrangement instead of PenTile. Overall, the True HD display on the Spectrum 2 is sharp and crisp, with text and images having fine detailed edges, and color accuracy is spot-on, though not as eye-catching as AMOLED displays. We’re also pleased by the brightness of the display, using LED backlighting, which makes it plenty bright enough to view in sunny conditions. 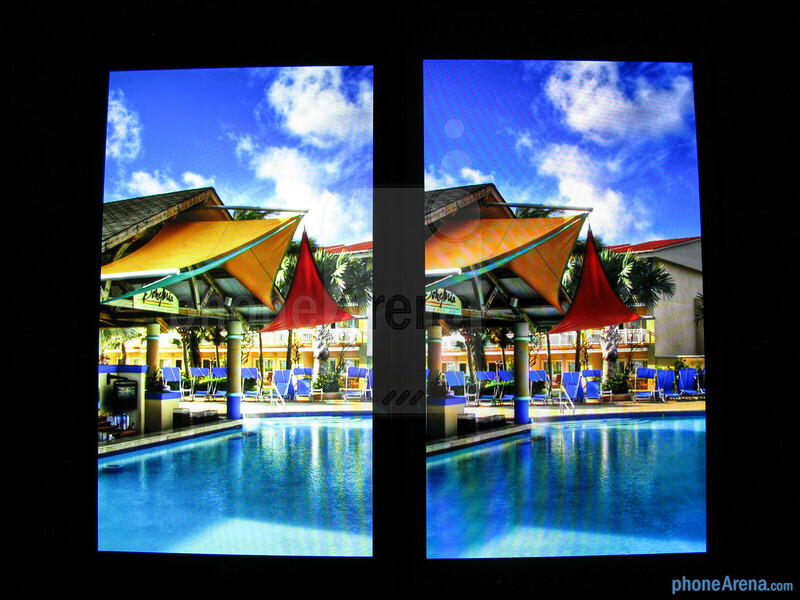 However, it is unfortunate that the display suffers from poor viewing angles; as when not viewed from the dead center, there is noticeable loss in contract and color saturation. This phone has surprised me. I have owned lots of Android phones and this one might be my favorite yet. 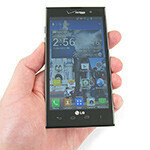 I NEVER thought I would say this about an LG phone. To put it in perspective, I have owned the Galaxy Nexus, S3, Rezound, Razr and Razr M. The one area where this phone really shines is reception. The Galaxy Nexus literally could not pick up a signal at my house, the S3 was not much better and the Motorolas had a solid 3G signal but barely picked up a 4G signal. This phone has been on a 4G signal over 90% of the time. Calls are crystal clear too. Not sure why the LG has a stronger signal at my house than any of the other phones but it does. 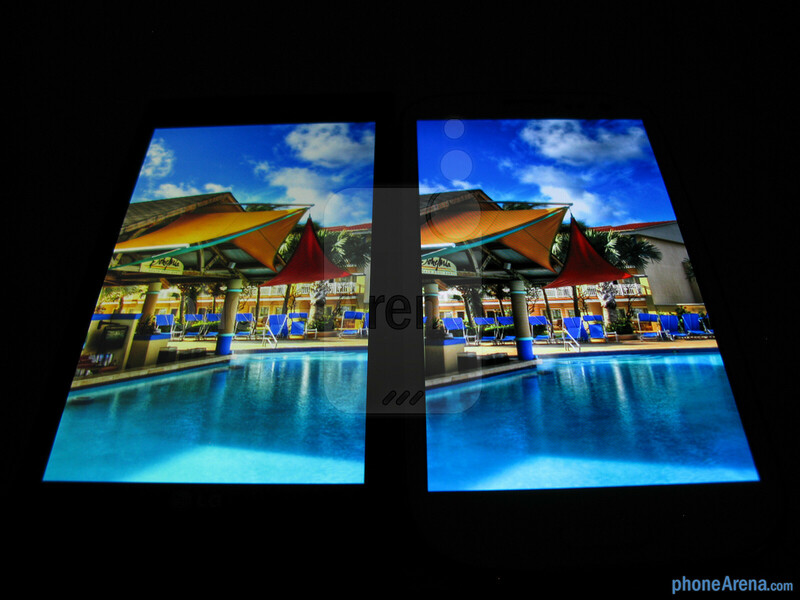 The IPS HD screen is awesome too. Much better screen than some of the more expensive phones... It comes with some delivered themes. The Thor one is especially cool. It runs fast too. It had some delays when I first started using it but that has cleared up. I deactivated quite a few of the delivered apps that I do not need. The GPS locks on fairly quickly but not as fast as the Razr M did. The battery life is average but good enough for me. I am constantly around a charger if needed. If you need great battery life and do not have access to a charger regularly, this might not be the phone for you. On the positive side, the battery is user replaceable if needed. There might be after market options for a different battery but I have not seen one yet. It also comes with a micro sd card slot for expansion. So many phones these days do not have either of these options. The overlay that LG uses does not bother me. You could always use a launcher if needed. The phone would be even better with Jelly Bean. 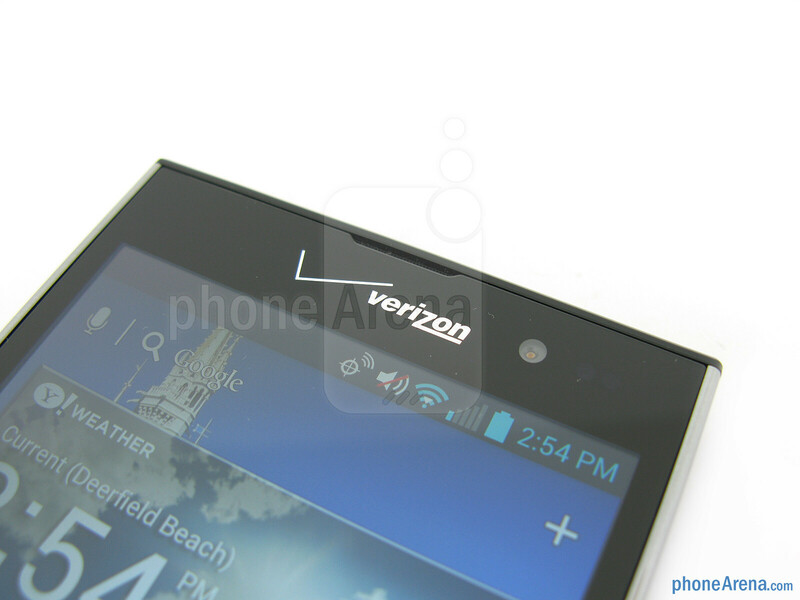 Hopefully this will happen sooner than later but I doubt it since the sales of this phone will be small and not likely a priority for Verizon. Plus LG has not been known for quick updates in the past. In my mind, LG has come a long way since even last year. If you want a great HD screen and excellent reception on a budget, this phone is a great option. P.S. 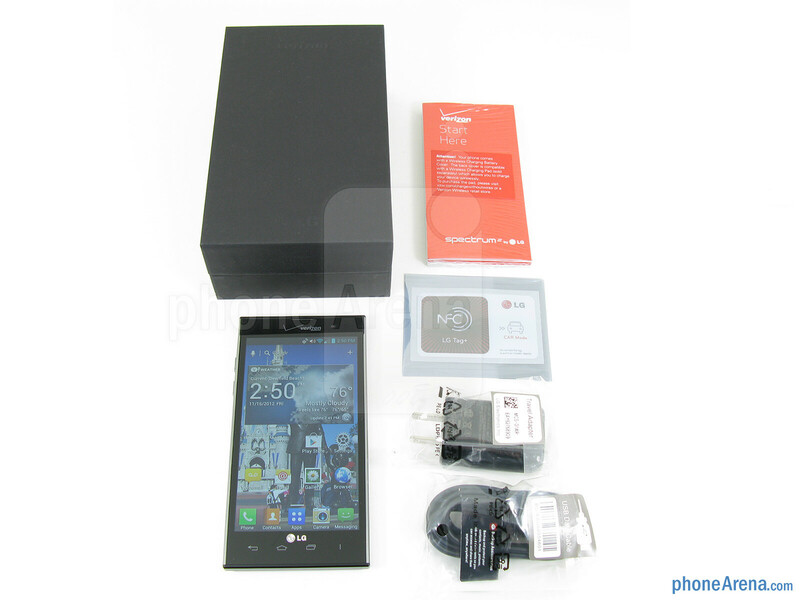 I suggest to check for best price at: mobilephonesuper.wordpress.com/lg-spectrum-ii/ Enjoy! The specs listed on the LG site and their PDF does not list MHL for the Spectrum 2, but they do list it for the original Spectrum. Have you been able to try the Spectrum 2 with a MHL HDMI cable? We have corrected that section, thank you. I asked LG about it last week, but never heard back. Since I don't have an MHL adapter or cable here, I wasn't able to test that part, but relied on the specs that LG had posted, which doesn't list MHL. Not sure why myself, but I got curious and plugged it up anyway to see that it works. :) Thanks! Why are these clowns still making phones? LG should stick to tv's and fridges!